Our "Friends of Salmon" programme enables a Friend to make small, regular monthly contributions. This monthly base enables us to maintain our standard of excellence and our future plans. We are asking you to become a Friend by making a monthly donation of €10. Since 1981, Salmon Poetry has been a driving force in contemporary literature. Your support is crucial to Salmon's continued success: we sincerely hope that you can help. If you prefer to make a one-off donation, rather than the monthly payments, that is of course very welcome also. Why does Salmon Poetry need to raise funds? Your donation will give us scope to fund new areas of development and enable us to do more of what we are really good at: finding and publishing diverse voices in contemporary poetry. Salmon has established a formidable reputation in literary publishing. By giving to Salmon regularly, you will help us plan for the future and build on our achievements. Your involvement will help Salmon achieve its mission of excellence & innovation in the field of contemporary literature. Where will the Friends Programme funds be spent? All funds raised through our Friends of Salmon scheme are spent directly on our publishing programme. What do you receive in return for your donation? You will receive a copy of TEN Salmon books of your choice (single collections in paperback) published during the year of your sponsorship. You will also become part of a strong and growing Friends network. You will be invited to regular events and will receive regular Friends e-Newsletters. What if you want to donate more? We obviously welcome larger donations. If you feel you can donate more than €10 a month there are options to donate €20, €30, €40 & €50 per month on the donations page. 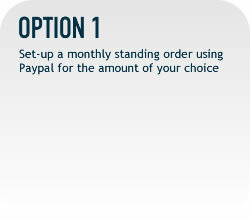 If you would like to make a one-off donation or a larger donation, you can do so by clicking on that option. Alternatively, we are happy to discuss this with you and you can contact us by email at siobhan@salmonpoetry.com or by phone on 065-7081941 (International: +353 65 7081941). What if you want to Cancel your Friend of Salmon donation? If at any time you wish to cancel your sponsorship simply let us know. Email siobhan@salmonpoetry.com to cancel. There are a number of ways for you to make your donation to Salmon Poetry. Select your preferred option from the column on the right.